Fall Guard 2018: Practices for fall begin in July from 6:30pm - 7:30pm. Practices are once a week. Place to be determined. Winter Guard 2019: Practice for the MVACG winter season begins in November until April from 6:30pm - 7:30pm. Practices are once a week. 6:00pm - 6:30 technique block. Place to be announced. 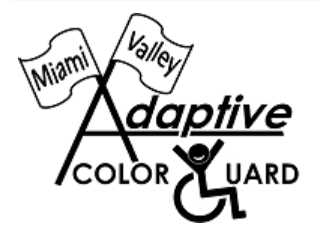 Email MiamiValleyacg@gmail.com for more information about becoming a member.